In addition to being a huge tech-dork at school, I also share my enthusiasm with the world by writing app reviews for a great site called Fun Educational Apps. If you are looking for educational apps appropriate for all ages, this site and its sister site, Kid’s Apps Deals, are great resources. They feature educational app reviews with detailed summaries and notifications of when great apps go on sale or are free. I recently was asked to review a new special education app called Sequences. 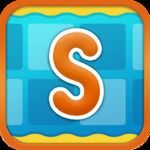 This app was created by special educators and therapists to address both the skill of sequencing steps in a process or story, and also to build students’ communication skills as they retell a story. The app offers scaffolded three, four, and five step stories of familiar tasks or scenes. Each piece of the story offers a sentence fragment to help build communication skills. While I liked the varying levels of skill needed to sequence these stories, what I really loved is that the app is fully customizable. This app allows the user to create unique sequences using photos and text. Immediately I thought to use this to create visual schedules. Instead of holding up picture cards or the those velcro task schedules, students could actually play with their schedule in a puzzle-like atmosphere to not only familiarize themselves with what comes next, but to potentially verbalize the schedule as well. I also thought about all of those social stories that our Social Behavior Therapists create. Instead of getting the bound and laminated photo stories to use to reinforce positive behaviors, we could instead create the social stories as a Sequence. By having students work with their social story in a game like setting, we are creating a much more engaging atmosphere for learning. I’ve always struggled to get my students to attend to a social story. There just isn’t a good hook to reel them in. Doing it on the iPad or iPod would be just the spark I need to engage my students. I also plan to use the app to practice academic skills with my higher functioning students. In Science, I’m going to create a Sequence about the scientific method for my fourth and fifth grade students to practice. In Social Studies, I think it’d be neat to have the students create the Sequence by finding photos of the key causes of the Revolutionary war. In Math we can use screen shots of the different steps of long division to practice that procedure. Also, I think our class for students with Moderate Intellectual Disabilities could easily use this app to practice weekly recipes. This app truly has endless possibilities. Overall, this app is one of the best special education apps I’ve had the chance to review. I love the versatility of the app and the way that my brain keeps coming up with ways to use it. I invite you all to check out the full Sequences review at Fun Educational Apps and hope you will find it as useful as I did.